We make it a point several times a year to end the business day a little bit early and head to our conference room (which we’ve dubbed The Creative Room) to relax, unwind, and have some fun as a team. Perhaps the best example of that is an annual tradition that hit three years strong in 2015: ScareFest. One of the interesting quirks of our office is that the first floor was originally designed as a storefront. That means our conference room has large display windows facing the street. 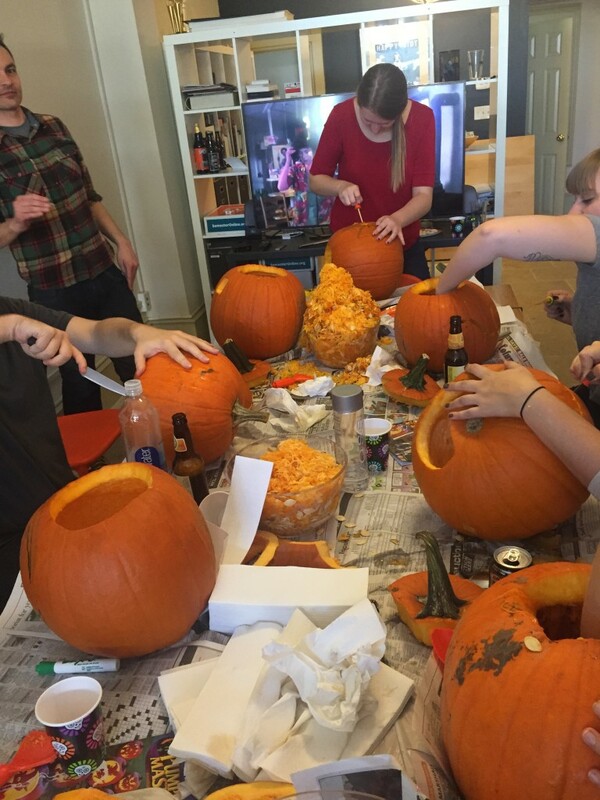 A few years ago we realized that we weren’t taking full advantage of those windows, so we decided to get together, drink some seasonal beers, watch a scary(ish) movie, and carve pumpkins for display. Now that we’re onto our third year, ScareFest has become one of our favorite parts of fall. We had a blast as always this year, and we invite you to join us next fall if you’re in the neighborhood.